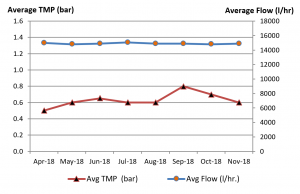 An auto ancillary plant in Chennai, India was in need of a new pretreatment system for their effluent treatment plant (ETP). The client had installed an ETP to treat the wastewater generated from their auto ancillary unit. The ETP provides complete pretreatment along with biological treatment. However, the ultrafiltration membranes were not able to perform due to challenging feed parameters which caused rapid fouling and required frequent cleaning. This problem hindered production for the client so they looked to QUA for a speedy and reliable solution. 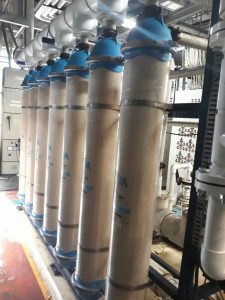 The client’s current tertiary treatment system is comprised of ultrafiltration (UF) followed by a reverse osmosis (RO) system. The waste generated from the tertiary treatment plant is further treated by the zero liquid discharge system for the purpose of recycling the treated water back into the process stream. The UF system, in pretreatment for the RO system, is required to provide consistent product water with low silt density index (SDI). The primary goal of RO pretreatment is to reduce SDI and turbidity of the water feeding the RO, to minimize cleaning and safeguard the RO membranes from fouling. The feed to the UF system is filtered water from media filter units, and the UF will remove any residual suspended solids, colloidal matter and high molecular weight organics in the feed water, to achieve low and consistent SDI required for reliable and trouble free RO operation. The feed water to the UF plant in this ETP is tertiary treated effluent after the media filtration units The unit operates at 15 m3/hr permeate flow, with a crossflow of 2.0 M3/hr. Initially, the UF plant was configured with another manufacturer’s inside/out PES membranes with a surface area of 46 m2. Though the plant had been running for the past year, the UF membranes were not able to perform due to challenging feed parameters. This resulted in a faster than expected rise in transmembrane pressure (TMP). The membranes began fouling quickly and frequent chemical cleaning (CIP) was required for the UF and RO systems. 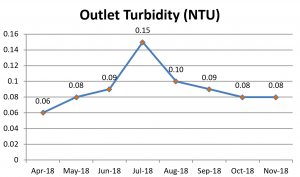 By the start of 2018 the turbidity was literally off the charts. The membranes were unable to adequately pretreat the water and meet the expected performance criteria, and required replacement. The client decided to correct the pretreatment system, and explore other UF membranes for replacement. Here, the challenging part was that UF membranes are not interchangeable like RO membranes, as each has different dimensions, port size and orientation. Due to this the entire skid would require modification, like pipework modification, change in common header elevations, changes in structural and supports etc, which would entail additional costs. 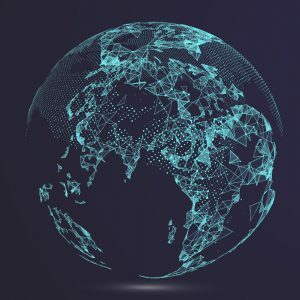 In this case, delivery time was also critical as the client’s production was hindered and they required immediate delivery. The OEM involved in this project approached QUA, who was able to provide a reliable solution and resolve the client’s concerns. QUA’s Q-SEP 4508 was able to address the client’s major concern of interchangeability, due to its dimensions being quite similar to the existing UF model. Also, Q-SEP has been proven for its consistent and reliable operation because of its low fouling characteristics, uniform pore size distribution and large surface area. Since QUA’s manufacturing facility was in India, the client was assured of delivery within a week’s time, to fulfill their urgent requirement.